Say what you want about Nintendo and their over reliance on certain brands, but there isn’t a console around that can match them when it comes to making games that stand out with unique colour palettes that are vibrant and pop in all the right ways. 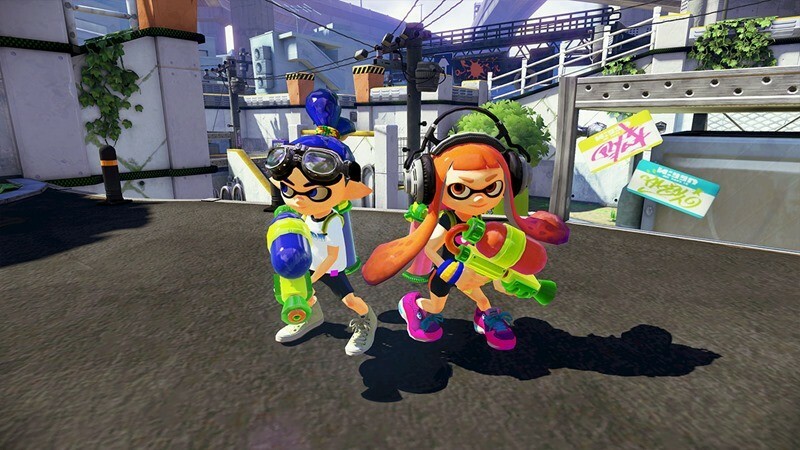 Take Splatoon for instance, an upcoming family-friendly shooter game where colour plays an important role. It’s a new game that has the entire office keen to try it out. And it’s the kind of game that is drawing talent from a wide variety of Nintendo games. That all-star cast of developers includes the likes of Super Mario Bros 3’s Yusuke Amano and character designer Tsubasa Sakuguchi, who splashed ink on designs for The Legend Of Zelda: The Twilight Princess. Nogami himself, previously worked as the designer for Yoshi’s Island and was the series director for Animal Crossing since the first game of the series and all the way up until Animal Crossing: City Folk. Many staff members that have worked on Wii U launch titles are working on this game, so now that we have a grasp of the Wii U’s functions, it started out with discussions about wanting to make something new with what we already know. There were many plans, but the one that stayed until the end was Splatoon. I’m digging the game ideas so far. It’s not some massive new entry that is meant to be a stepping stone into a whole new franchise. It’s a game with a great hook, first and foremost. And more importantly, early hands-on time with Splatoon has revealed that this is just a whole lot of fun so far.